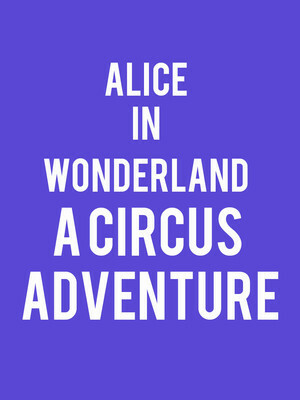 Why See Alice in Wonderland - A Circus Adventure? Much loved fairytale Alice in Wonderland goes to the circus with a show full of live music, special effects and trapeze acts. The popular 1865 novel has been transformed into an exciting showcase full of familiar characters, activities and of course, circus tricks. Alice's Adventures in Wonderland was written by English author Charles Lutwidge Dodgson and tells the story of a young girl falling down a rabbit hole and finding herself in a world of fantasy and make believe. The show will feature giant props, a hat makers craft workshop and a game of croquet, presented by the Queen of Hearts. There will also be a Mad Hatters Show, a photo booth and the opportunity to meet the story's most beloved characters, including the Mad Hatter, Alice, The Queen of Hearts, Cheshire Cat and the White Rabbit. Sound good to you? Share this page on social media and let your friends know about Alice in Wonderland - A Circus Adventure at Ellie Caulkins Opera House. Please note: The term Ellie Caulkins Opera House and/or Alice in Wonderland - A Circus Adventure as well as all associated graphics, logos, and/or other trademarks, tradenames or copyrights are the property of the Ellie Caulkins Opera House and/or Alice in Wonderland - A Circus Adventure and are used herein for factual descriptive purposes only. We are in no way associated with or authorized by the Ellie Caulkins Opera House and/or Alice in Wonderland - A Circus Adventure and neither that entity nor any of its affiliates have licensed or endorsed us to sell tickets, goods and or services in conjunction with their events.